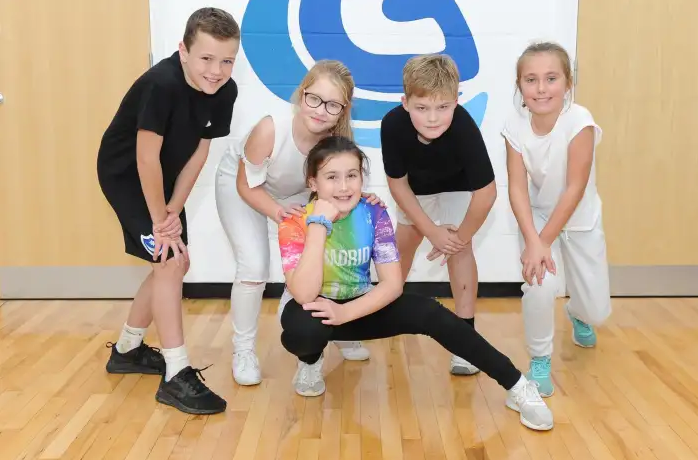 THE CHILDREN OF Gomer Junior School have performed a special rendition of their anti-bullying dance to parents, teachers and peers. The Year 6 performance involved 30 pupils and was the culmination of four days of activities in recognition of anti-bullying Week. The routine was performed to Sam Smith’s La La La song which the children interpreted as having an underlying bullying theme. Evie Mulhall, 11, played the focal role in the routine which depicts the story of a young girl suffering from bullying. ‘I am wearing a coloured top to stand out as being different and this is why I start to get bullied. The people in black represent the bullies who start picking on me until one of the bystanders in white eventually comes and helps me as a friend,’ explained Evie. Chris said that for many of the students it was the first time they had been involved in a choreographed routine. Headteacher, Georgina Mulhall, believes dance is a particularly moving medium in which to relay the anti-bullying message. ‘Whilst we don’t have an issue with bullying we are obviously aware that it does happen in schools across the UK. I got Chris involved as I believe dance is a really powerful and emotive medium in which to communicate the key message that bullying should not be tolerated,’ explained Mrs Mulhall. The performance was the culmination of a week of activities surrounding the key focus of respect. In addition to daily assemblies, the students have also made bookmarks to represent respect and investigated the concept of cyber bullying. ‘We even spent one day where we all had to wear odd socks to promote the idea of being different,’ explained Emily. The school have also provided a website link to anti-bullying resources for parents and children. ‘It is important to educate children on the key value of respect but It is also important that children no where they can gain help if they need it,’ added Mrs Mulhall.